At Lexmark, we’re always working hard to ensure you achieve maximum productivity and minimum downtime. Our C935hdn colour laser printer includes our solid service guarantee of 1-year On Site Repair, with a response time of next business day (in serviceable areas). For an even greater level of peace of mind, you can opt for one of our extended-guarantee service offerings. 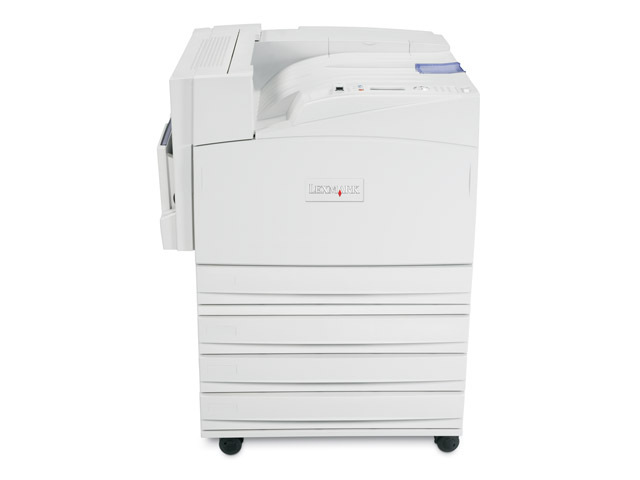 For more information on any of these offerings, just contact your local dealer or visit us today at www.lexmark.com. Lexmark’s industry-leading technology is allowing more and more enterprises to produce their own colour documents in-house. Print off a couple pages from the Lexmark C935hdn and it’s easy to see why! It uses Lexmark’s newly enhanced colour toner, which boasts one of the largest colour gamuts in the industry. What ever you’re printing, you’ll benefit from crisp text, rich flesh tones and consistent images every time – from first page to last! With its robust and reliable new design, the C935hdn offers you all the power and performance you need to reach your true potential. It races through print runs as fast as 45 ppm in mono and 40 ppm in colour, which means less time spent hanging out at the printer. Maintenance and operation is a breeze for anyone, thanks to the intuitive operator panel and easy, front-loading consumables. Top it all off with the most cutting-edge security features and you’ve got a true productivity workhorse. Great quality and performance doesn’t have to mean heavy costs. In addition to its competitive cost per page, the C935hdn arms you with the most complete range of colour-cost-control tools in the market. Among others, this includes colour print permission via user ID, plus multiple toner-saver levels that can save you toner. There’s even a coverage estimator, which can be configured to show your end-users the cost of a colour page before they launch a large print job. Flexibility from start to finish! When it comes to versatility, the possibilities of the C935hdn are practically endless. For even greater flexibility, you can opt for full finishing. And in addition to stapling and hole-punch, the C935hdn offers booklet finishing, which is ideal for creating your own eye-catching catalogues or newsletters in-house. 인치 - H x W x D): 34.1 x 38.4 x 28.0 in.